Anita Jo Murray, 63, passed from this life on Monday, January 21, 2019 at the Mercy Hospital in Oklahoma City, OK. Funeral service will be held at 1:00pm on Saturday, February 2, 2019 at the Church of Christ in Stillwater, OK. Strode Funeral Home and Cremation is in charge of the arrangements. Anita Jo Murray was born on July 22, 1955 in Stillwater, OK to Imogene “Imo” Murray and Carmilla (Beck) Murray. Anita attended Washington School and graduated from C. E. Donart High School in 1973. She also attended Oklahoma State University and later enlisted in the Army. Anita joined and remained a member Mt. Zion Missionary Baptist Church. Prior to moving to Edmond, OK she was very active in the church and loved singing in the Gospel Choir. While living in Edmond she regularly attended Bethlehem Star Baptist Church in Oklahoma City. She was employed by the Department of Corrections as a Correction Officer and later went to work for Wee Care where she remained until her illness. She served on the Washington School Alumni Committee as the meet-n-greet and memorial chairperson. Anita loved interior decorating and family gatherings. She also loved shopping at Crest grocery store and talking and meeting people. She never met a stranger and had a smile that would light up the world. She loved being a mother taking care of her sons. Anita was preceded in death by her parents, one brother, James “Skippy” Frazier; two sisters, Doris Johnson and Helen English. 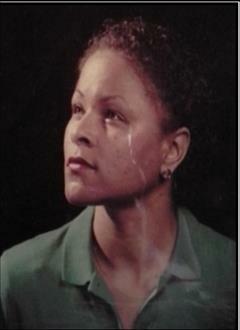 Anita leaves to cherish her memory: the love of her life for over 30 years, Donnie Hagler; two children, Dominique and Deionte Hagler, Edmond, OK; one sister, Velda Murray, Oklahoma City, OK; one brother, Steven Murray; Stillwater, OK. one uncle, Kenneth Murray, Stillwater, OK; a host of nieces, nephews, cousins and friends. The Hagler Family would like to thank the all doctors and therapist for all their help and assistance. To send flowers to the family of Anita Joe Murray, please visit our Heartfelt Sympathies Store.